Welcome to our site! Listen to music, get to know us a little more, then check out our calendar and come see us! Joanna Howerton grew up in a musical family in the beautiful hills of Kentucky. She studied classical piano with the late Dorothy Knost. Early influences were traditional church hymns, old-time mountain music, bluegrass from her fiddle-playing father and her mother’s collection of jazz recordings. 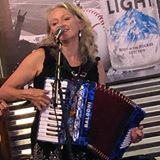 She moved to Austin in 1984 and new friends, the late Mel Brown and his wife, Miss Angel, introduced her to the Blues and her first accordion. In the Blues, she found her true voice and style. Joanna quit her day job in Austin and moved to New Orleans in 1986, where she further honed her vocal skills playing with jazz cats from Loyola University and various other R&B and jazz ensembles. She returned to Austin and over the next twenty years performed with a variety of bands, including the Joanna Howerton Blues Band, and Route 66, a party band that played festivals, corporate parties and weddings all through the 90’s. Other bands included the Gypsy Ramblers with Dickie Lee Erwin and The Hill Country Penguins with Lindsay Haisley. Current projects include Gal Dangit! a songwriting trio with Lisa Fancher and Wendy Hale Davis. 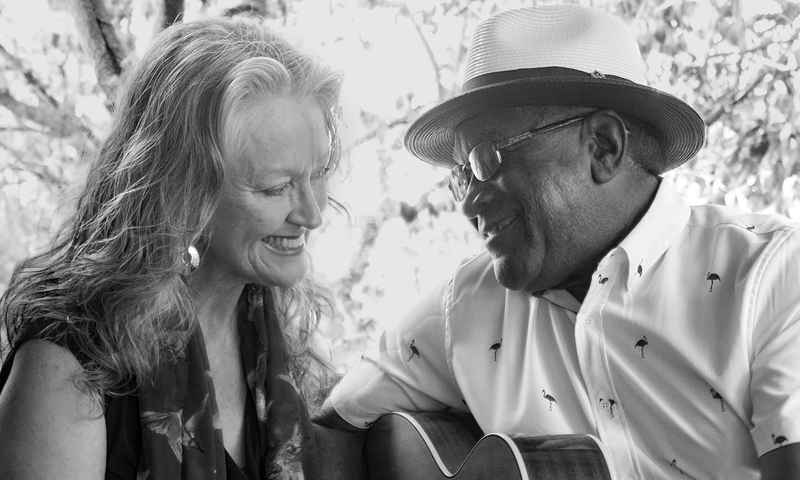 Her partnership and duo with Michael Cross has been transformative, inspiring the creation of a sound that bridges their past and current influences. 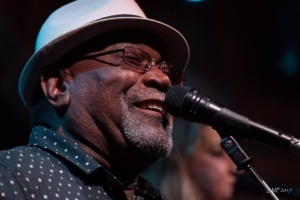 Michael Cross, a talented vocalist, lyricist, composer and seasoned recording artist, has built a successful music career on a lifelong passion for music. In recognition of his contributions, The City of Austin named June 21, 2007, “Michael Cross Day”. Born in New Mexico and raised in El Paso, Michael discovered his love for music very early. When he was 6 years old, his grandfather took him to Navajo tent meetings, where he was introduced to his first guitar licks. He was chosen for the El Paso Boy’s Choir when he was 10. Early influences included his mother, who played piano at the local church, along with artists Brook Benton, Mahalia Jackson, Marvin Gaye and The Beatles. Michael moved to Austin in 1991, joined Duck Soup, a well know variety band, was bassist for the late Rusty Weir for 6 years, and Denim, a progressive county rock band, for 5 years. A full time musician, Michael has toured nationally and internationally. Recording projects include TX Blues Voices produced by Fabrizio Poggi, his own album Blues Lovin’ Man, produced by David Murray, Roscoe Beck’s album Walk On and Jennifer Warren’s latest release, Another Time Another Place. Michael currently performs with The John Gaar Band, Forlini & Cross, The Michael Cross Peace Love and Blues Band and Groovy Gravy. Michael’s latest collaboration with Joanna has inspired new material and their duo is steadily building an enthusiastic following.